KXCI On The Air: Who's Next? : A Special Interview and Performance. Thursday at 4pm! Who's Next? : A Special Interview and Performance. Thursday at 4pm! 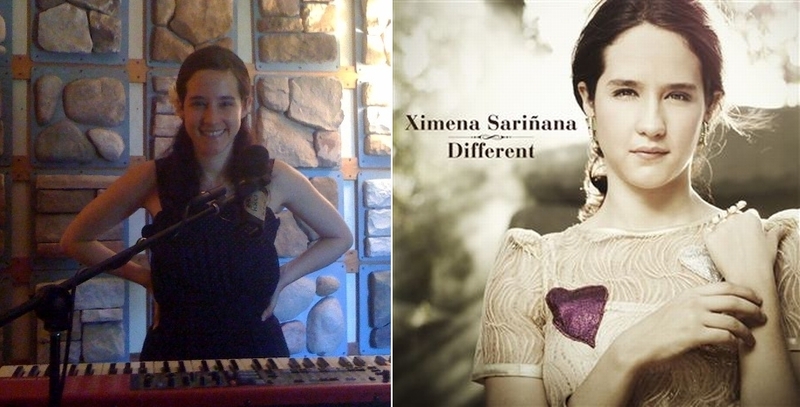 (L) Ximena Sarinana at KXCI's Studio 2A, (R) Her single "Different," from her forthcoming U.S. album. This Thursday at 4pm on The Home Stretch, tune in for a special interview and performance with Ximena Sarinana. Sarinana is from Mexico City, Mexico and came through Tucson exclusively to visit KXCI. She's a Grammy winning and Latin Grammy nominated actress, musician and performer. Her 2008 album Mediocre, was hailed by Rolling Stone Magazine and topped Mexico's Billboard charts. She's rolling the dice and recorded an album in English andis going for broke in the U.S. We think Sarinana, a bright, articulate and delightfully talented young woman, will have no problem meeting her challenge! Tune in Thursday at 4pm to listen! More at her website, here.